Background information: European People’s Party President Joseph Daul and Austrian Chancellor Sebastian Kurz have said that the membership of Fidesz in the European People’s Party would not be suspended until the Article 7 procedure against Hungary is concluded. In Magyar Idők, Levente Sitkei interprets President Macron’s words as a declaration of war. By suggesting that membership in the Schengen Zone and access to EU structural funds should be made conditional on accepting EU migration policy, the French President made it clear that he is willing to pressure into submission those EU member states that try to stop migration and defend their national sovereignty, the pro-government commentator writes. 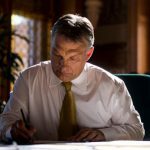 Sitkei contends that President Macron labels his opponents, including PM Orbán, as anti-European in order to suppress any views conflicting with his vision of the future of Europe. Sitkei finds all this absurd, suggesting that there is no unified European identity or interest, and the EU actually consists of different nation states with diverse aims and values. As for the broader implications of President Macron’s statement, Sitkei thinks that the 2019 European parliamentary elections will clearly be a showdown between those who envision a federal EU and those parties that want to uphold national sovereignty within the EU. In an interview with Népszava, political scientist Gábor Török claims that although most centre-right parties in the European People’s Party have adopted various shades of PM Orbán’s anti-immigration policies, Viktor Orbán has himself become a persona non grata in the EPP. Török suggests that the EPP wants to boost its support by embracing a tougher stance on immigration, while at the same time distancing itself from Viktor Orbán in order to maintain its own unity. As for Fidesz, Török thinks that the Hungarian governing party could lose all its influence at the European level if it is expelled from the Peoples Party. Prime Minister Orbán could potentially be a key figure in a future coalition of far-right parties in the EU, but such a platform could hardly help PM Orbán advance his own interests. His potential allies in such a common platform to the right of the EPP do agree that mass immigration should be stopped, but they have very different visions of Europe, and so their cooperation would prove ephemeral, Török notes. As for President Macron’s threat, Török thinks that the French President is targeting PM Orbán in order to weaken his prime challenger, the French National Rally and Marine Le Pen. 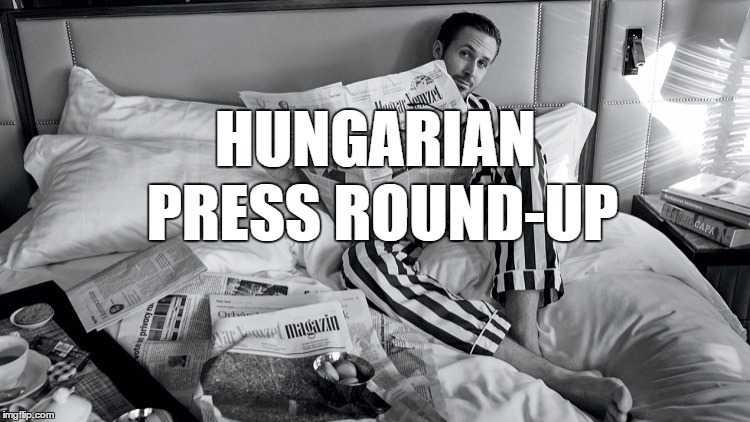 Magyar Narancs in a front-page editorial speculates that after the European Parliament’s vote on the Sargentini report, Fidesz will look for new allies. The liberal weekly thinks that the European People’s Party has already written off Fidesz, and Mr Orbán will thus try to advance his vision of Europe through cooperating with far-right parties which challenge the EPP from the right. Their victory would entail the end of the European Union and would also be a tragedy for Hungary, Magyar Narancs concludes. In Heti Világgazdaság, Zoltán Horváth wonders if the European People’s Party’s response to PM Orbán’s politics will stop the disintegration of the European Union. The liberal commentator thinks that the EPP should have punished Fidesz as early as 2013, after the publication of the Tavares report. Horváth fears that the decision of the EPP to demand adherence to basic EU norms may come too late, as parties that advocate a looser coalition of the nations of Europe rather than a unified EU have already gained momentum.